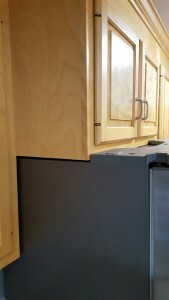 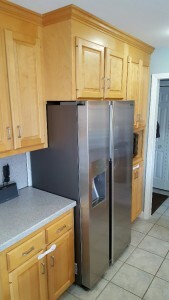 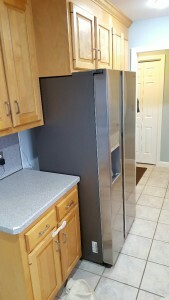 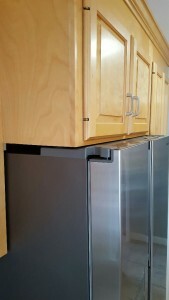 Customer had a new refrigerator that was too tall and wouldn’t fit under the overhead cabinet. 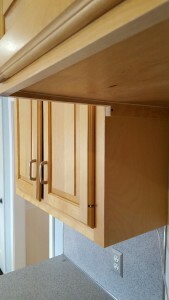 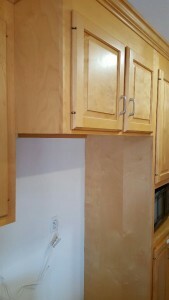 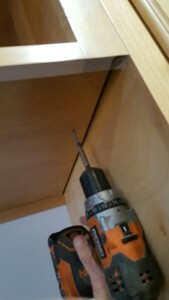 I had to cut the cabinet in place using a cutting guide along with a jigsaw. 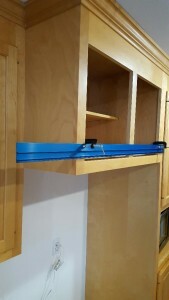 I also needed to hand cut some of the cabinet in those hard to reach areas.